In 1985 the team won his first Championship Title in Formula 3. Volker Weidler won 6 races, finished all races on the podium and was the dominating man of the season. 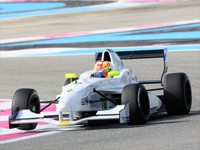 He also adchieved a 3rd Place at the F3 Euro-Cup race at Paul Ricard. In 1986 and 1987 Josef Kaufmann Racing became the Nigrin-Sport Auto Junior Team with the drivers Markus Östreich and Otto Rensing. Finally a 5th and 6th overall Championship Position was the result of this cooperation. In 1988 Frank Biela finished 3rd in the Int. 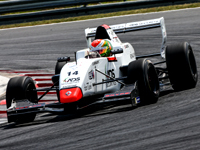 German Formula 3 Championship. With various victories today´s more times Winner of the 24 hours of Les Mans was one of the dominating drivers in the Championship. He also achieved a 4th Place at the Euro-Cup race at Hockenheim in that year. Three years later in 1991, after competing in the Formula Renault Championship in Germany, the Team and Achim Beule became the first Championship winner in this new series. In 1994, the Team changed again back to the Int. 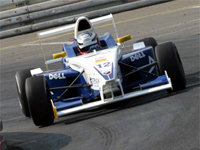 German Formula 3 and won the Title in the B-Class with German Driver Arnd Meier. 1997 and 1998 Wolf Henzler has been one of the dominating drivers in the Int. German Formula 3 Championship. Together with Josef Kaufmann he scored numerous victories. The overall results have been a 4th and 3th Place in the Championships. One of the Highlights was definetly the 2nd Place at the Formula 3 Grand Prix of Monaco in 1997. Also Timo Scheider who raced for Josef Kaufmann has won some Formula 3 races in 1998. 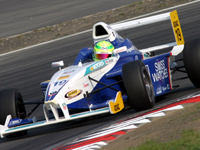 In 2002 the Josef Kaufmann decided to take part in the German Formula BMW as well. Right from the beginning the team was very successful in this series. Autrian driver Hannes Neuhauser scored a 3rd overall place in the Championship in 2002. In 2004 Swiss driver Sébastien Buemi had 10 podium finishes and achieved again an overall 3rd Place in the Championship. 2005 the Team of Josef Kaufmann won two titles in the German Formula BMW. Rookie driver Nicolas Hülkenberg won 8 rounds of the Championship and became the first Rookie driver ever, who won the overall German BMW Championship straight away. With another 16 Rookie victories he won the Rookie Championship as well. Hülkenberg was on the pace at the first Formula BMW World Final as well. Only a ten second penalty after the race cost him the victory of a race that he had won on the track. In 2006 the Team won the Formula BMW Germany Championship again. Christian Vietoris won 9 rounds of the Championship. With 10 victories and 21 overall podium finishes the Team won also the Formula BMW Germany Team Trophy. Finaly the highlight of the year was the victory at the Formula BMW World Final at Valencia. The team of Josef Kaufmann and driver Christian Vietoris took Pole-Position, won all the Heats and the Final. 2007 was also a very successful year for the Team. 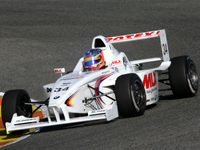 Adrien Tambay won the Rookie Championship in the Formula BMW Germany. German driver Marco Wittmann had shown his best performance at the Formula BMW World Final in Valencia. A fine 2nd Place was a fantastic result for the Rookie driver and the Team. 2008 once again had been a very successful year for the Team of Josef Kaufmann. In the new founded Formula BMW Europe Series the Team straight away won the Championship with Mexican driver Esteban Gutiérrez and teammate Marco Wittmann was able to secure the Vice-Champion Title. With 8 season victories and 23 podium finishes the Josef Kaufmann Racing Team also won the Team Trophy as best Team. During the 2008 Formula BMW World Final in Mexico the Team scored another incredible double podium finish with 2nd and 3rd Place. One year later in 2009, the young dutch Robin Frijns was very successful for Josef Kaufmann. A 3rd overall Championship Result and the Win of the Formula BMW Europe Rookie Cup had been the result of that cooperation. In 2010 the Team of Josef Kaufmann once more scored the two titles in Formula BMW Europe. It was Robin Frijns who became with 6 season vitories and 13 podium finishes the Champion of Formula BMW Europe 2010. In addition the Team was able to win again the Formula BMW Europe Team Trophy as well. For the 2011 season the Team of Josef Kaufmann changed the racing category and moved into Formula Renault 2.0 Litres EUROCUP. The Formula Renault 2.0 Litres EUROCUP, with 38 cars on the grid actually the most competitive series in Europe, was a very special challenge for the whole Kaufmann Team. Again with driver Robin Frijns, the Team in their debut season claimed the overall Title. Frijns was able to score overall 5 race wins and in total 9 podiums. Frijns crowned himself "Champion" already one race event before the end of the season. An incredible performance by both, Team and Driver. In 2012 the Team of Josef Kaufmann was able to repeat its success from the year before. With an incredible performance throughout the whole year, 6 Poles and 4 Victories it was Stoffel Vandoorne who was able to win the Formula Renault 2.0 Liters EUROCUP. In addtion to the Driver´s Title the Josef Kaufmann Racing Team was also able to win the Formula Renault 2.0 Litre EUROCUP Team Trophy. In 2015 the Team of Josef Kaufmann Racing was able to win 3 Championship Titles. 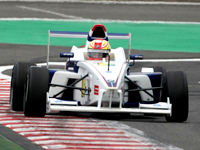 Louis Delétraz won the Formula Renault 2.0 NEC Championship ahead of teammate Kevin Jörg. As well the Team once more won the NEC Team Championship. 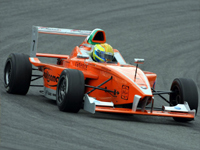 In Formula Renault 2.0 EUROCUP it was Louis Delétraz who became Vice-Champion. Together with teammate Kevin Jörg, who finished 3rd overall in EUROCUP, the Team of Josef Kaufmann won again the Team Trophy in Formula Renault 2.0 EUROCUP. 2016 turned out to be an even more successful season. Overall the Team of Josef Kaufmann won 6 Championship Titles. Lando Norris was the man of the year. 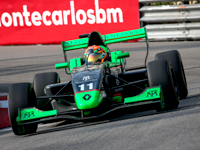 He was able to win both, the Formula Renault 2.0 EUROCUP and NEC Championship as well as the Rookie Title in both series. 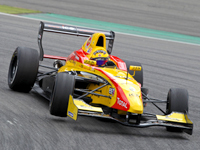 Further more the Team of Josef Kaufmann won the Team Trophy in Formula Renault 2.0 EUROCUP as well as in NEC. In 2017 the Team of Josef Kaufmann participated again in the new formed Formula Renault 2.0 Eurocup which was held over 10 events with a total of 23 races. 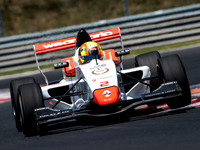 Sacha Fenestraz was the dominating driver of the season who secured another Formula Renault 2.0 Eurocup Championship title together with Josef Kaufmann Racing. A dominant 9 pole positions, 7 victories and 17 overall podium finishes were the result of that very successful campaign.